Item: Air P42.1 - G.W.G. McConachie and Mrs. W.G. McConachie before pre-inaugural flight of the "Empress of Sydney" to Australia. Item: Out P312 - Gateway - Selkirks - B.C. Item: In N43.1 - Gavel carved by August Jack Khatsahlano for Kitsilano Chapter, I.O.D.E. 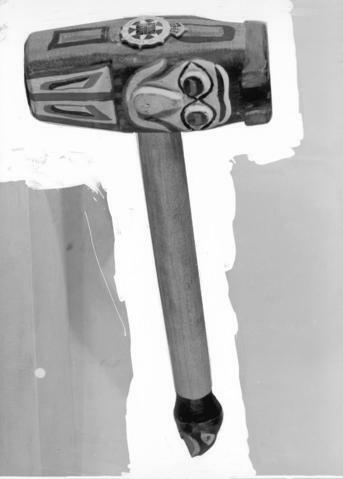 Item : In N43.1 - Gavel carved by August Jack Khatsahlano for Kitsilano Chapter, I.O.D.E. Gavel carved by August Jack Khatsahlano for Kitsilano Chapter, I.O.D.E.